VALUE CABIN with BBQ, hot tub to be available 4/10/19. 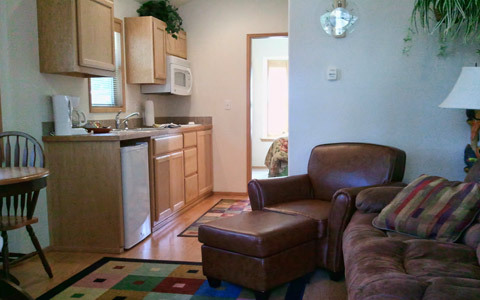 Sleeps 2- $129/night for 2 person maximum. 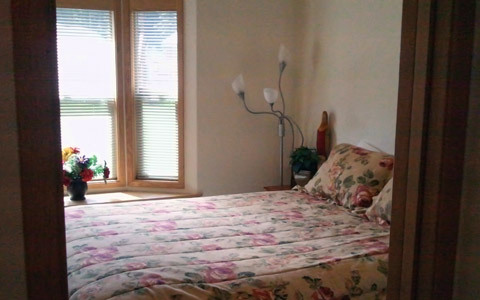 Queen bed in master. Please note: Hot Tub to be available 4/10/19. Pet friendly (one medium sized pet) but non-smoking. 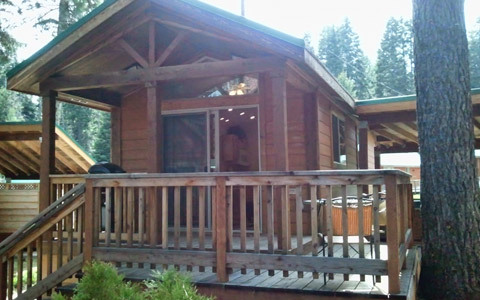 A charming single-story cabin that is ideal for the sportsperson or an activity minded couple. 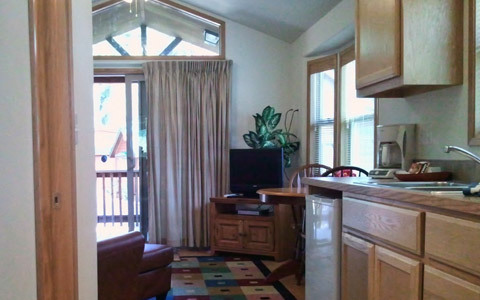 Although the cabin does not have a lake view, it is airy and gets plenty of sun from the large adjacent greenspace. The cabin has a very large parking area that is great for those who have too much equipment in their boat to unload and prefer to keep an eye on it during the evening. The sofa-recliner in front is great for an afternoon nap. The small under-the-counter fridge is adequate for the vacationer and the electric cook-top with microwave complete kitchen. DirecTV is provided. The porch can be easily closed off to prevent a dog from wandering off.